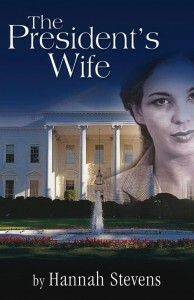 What would happen if the first lady were to divorce her husband, the president while he is in office? And what would the implications be if it were an election year? Carol Walters, wife of James Kerr Walters, is about to find out and embark on an odyssey from which there is no return. Born of middle class parents, Carol meets and marries James Walters, Colorado Republican state senator. When James looses the seat in the next election, Carol and James, with land given to them as a wedding gift from James wealthy parents, start a working cattle ranch and become parents of a son, Andrew. After twenty years of working together to build up the ranch to become a profitable business, James again is asked to serve in the public sector and run for president under the new Patriot Party, a conservative spin-off of the Republican Party. He wins a first term and becomes embroiled in the politics of war and espionage and Carol is dismayed and outraged with the decisions being made in the Oval Office and Congress. When their bedtime discussions about the war become angry battles, Carol retreats and a wide gulf separate the two of them as never before. And when Carol learns more about the war on the Internet and sees the dead soldiers coming home every day, she realizes she can no longer support her husband. Carol then does what no other first lady in the history of the country has ever done; she files for divorce. And what follows is a compelling story that will keep you on the edge until the end of the book with an adventure of colossal proportions.